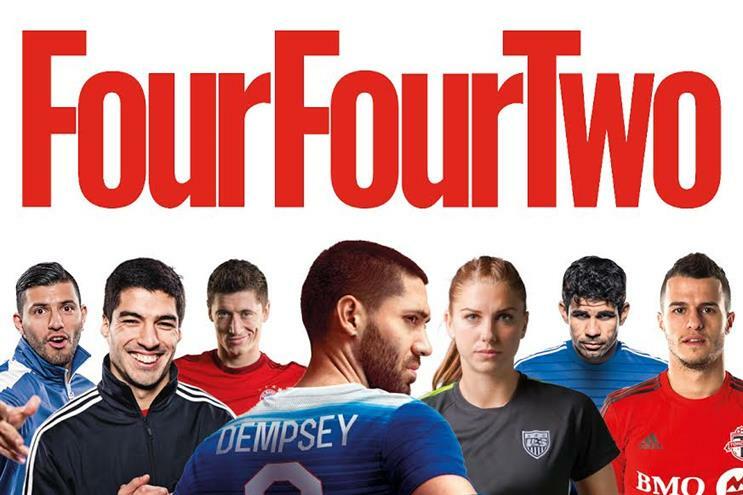 FourFourTwo, the football magazine published by Haymarket, has launched a US web site as part of the brand's global expansion. The site has kicked off with a digital preview for the new Major League Soccer season, the equivalent of the Premier League in North America, which starts on Sunday, 6 March. FourFourTwo will also put staff on the ground to cover football on both the west and east coasts of the US, led by Jeff Kassouf, the US editor, who has joined from broadcaster NBC. It comes after local sites have been made live by the UK publication in Australia, Indonesia, Malaysia, Singapore and Thailand. Last year FourFourTwo grew its global digital audience by 157 per cent, helped by a 500 per cent surge in southeast Asia. The MLS will be a new addition to the FourFourTwo’s Stats Zone smartphone app for the 2016 season, which is also integrated into the website. David Hall, the global editor-in-chief of FourFourTwo, said: "I couldn’t be more excited about FourFourTwo going live in the US. "Soccer in the US is stood at a tipping point about to take the leap. We’re here to do everything we can to make the game we love as big as possible in America."